Bilingual Justine inherited a passion for French cuisine from her mother and a ‘roll up your sleeves and get stuck in attitude’ from her Aussie father. An accomplished cook in her own right, Justine’s mother taught her about the pleasures of food and ‘joie de vivre’ from a young age. After completing a diploma in hotel management and deciding it wasn’t for her, Justine set out to explore her two passions: travel and food. 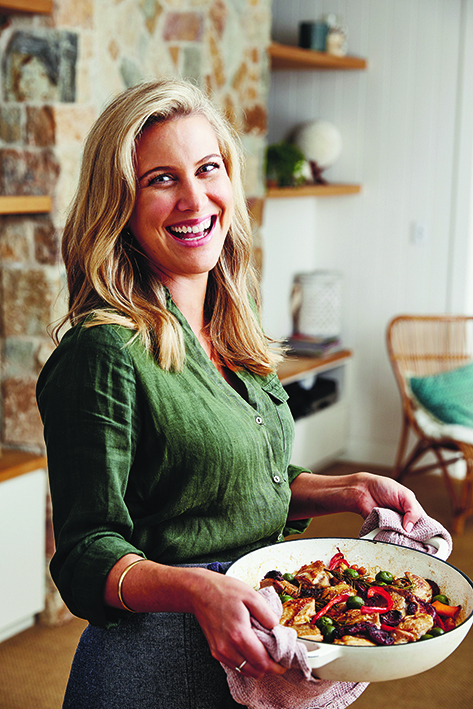 In April 2016 Justine’s first cookbook, Dinner with Justine was published with Pan Macmillan Australia. This beautiful book celebrates the food Justine loves to cook and eat at home with family and friends, simple, wholesome and delicious meals that can be made with readily available ingredients. Following the success of the 1st book, Justine’s 2nd book Simple Every Day was released in July 2017 & the 3rd is due for release in 2018.